I use this concept with my son. If he starts to procrastinate just as we are headed out the door, I use healthy competition and extrinsic motivation to get him moving! I tell him that if he runs to the car faster than me, I’ll do ten jumping jacks. He wins the race every time because he really wants me to do the jumping jacks. Then, he counts everyone one of them off as I do them. Being an adaptable parent means using external motivation when necessary. As you consider your level of adaptability today, ask yourself if you ever apply similar intrinsic or extrinsic motivation to your child. If not, consider adding them to your parenting tool kit. 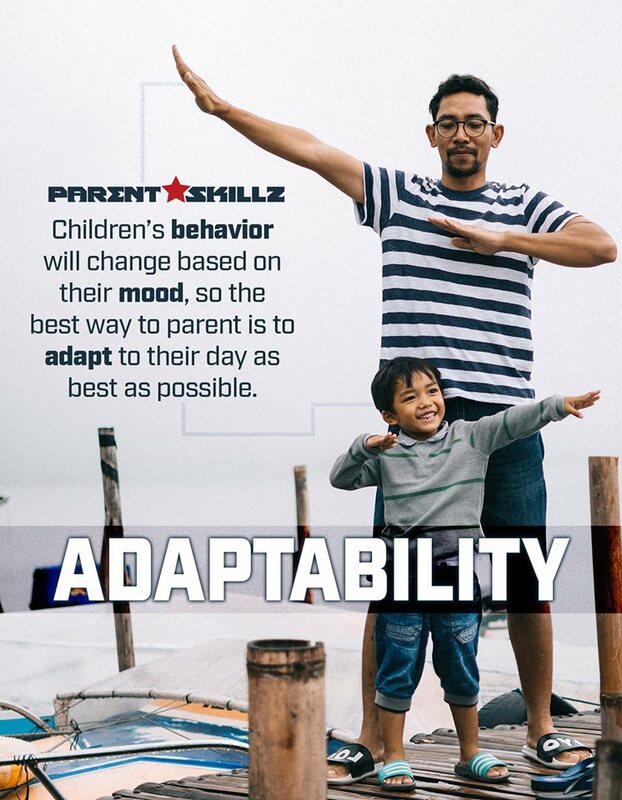 Your child’s behavior will change based on their mood, so the best way to parent is to adapt to their day as best as possible.